If you’re around me or in my life, you know how passionate I am about my Lakota way of life, as well as Native people. Sometimes, late at night while scrolling through social media, I often get upset from what I see. Yes, I am well aware of how much my people love basketball, football, and even the hip-hop culture, but when are we going to start loving our culture more? Our culture is the way of life that we have lived for thousands of years before all of this. I, along with my little brother who plays football for the University of New Mexico, have truly been blessed to accomplish a lot in the sports world. 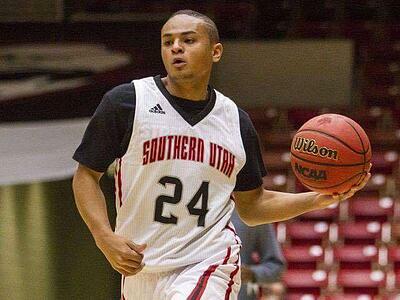 I’m a former Gatorade player of the year, Mr. Basketball, and am currently playing Division 1 basketball at Southern Utah University. My little brother was one of the top football recruits in the nation his senior year, and is currently a Division 1 football player for the New Mexico Lobos. But what the Native youth do not understand about us is that we truly believe none of this could have been possible without the blessings of our ancestors and this sacred "canupa," which translates to “pipe” in English. Yes, I understand that there are many of our young people out there living this beautiful way of life, but there are also a lot of our people who are very confused. We, as leaders, need to teach and instill in our youth that education comes before sports! 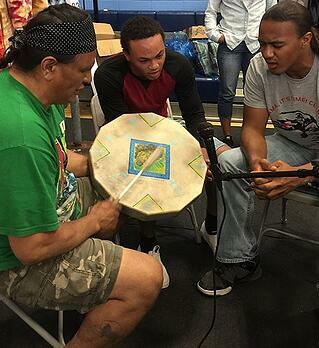 There have been many times that I have spoken at schools, both on and off the reservation. When I ask the kids who live off the reservation, “What do you want to be when you grow up?” most of them said things like a doctor, a lawyer, a biochemist, etc. However, when I ask the kids on our own reservation, most said they wanted to be an NBA or NFL player. Of course, some may have a chance, and it would be such a blessing for them to pursue their profound love for their sport. But, what about the 98 percent that don’t grow to 6’ 6” and are stuck their senior year of high school with no plan because they didn’t get that college scholarship they dreamed of? Education is the only way we can truly help our people who live in poverty. I’m from the Pine Ridge Indian Reservation, which is home of the poorest county in America. The suicide rate is four times the national average, and the life expectancy is the second lowest in all of the Western Hemisphere. I come from a place with real life third-world living conditions, a place where most people are never going to make it because they don’t have the resources or the support to do so. With all that being said, I feel as if either people don’t care, or that they are naive to the real struggles our people are facing. Throughout my life, I have been taught to give. This has come from my mother who runs Youth Opportunity, a non-profit which helps kids pursue their dreams, and my father who teaches and instills life lessons with the youth. My grandpa, also, has always given so much love to our people, even taking kids into his own home. Now people who are not even related call him “Papa” as he is grandfather to so many. If you ask anyone in Native country, they all know my auntie, Eileen Janis, and my grandma, Tiny DeCory, (pictured here). They work in suicide prevention and also strive to give kids a future and a chance in life through the B.E.A.R Program (Be Excited About Reading). Both have done more for their people in their time on this earth than I have seen from anyone in my lifetime. Working with their suicide prevention efforts, I have seen so much of the despair firsthand. I have been on those suicide calls and have seen grown men wanting to take their lives. With no running water, heat, or money, they had nothing to offer their kids and turned to suicide. I’ve seen a little girl wearing size 13 flip-flops because she couldn’t afford shoes that cover her toes. Another time, there was a grandmother raising 15 kids in one house who had to lock her belongings away in her room because she didn’t know who was stealing all of her things—including her food—and selling them. Another time I met a six-year-old kid who hadn’t yet experienced much of life but wanted to kill himself because he was depressed and felt so alone. I’ve seen grandchildren coming home drunk every night, fighting each other to the point where someone could get hurt—or even killed. People say it’s a dog-eat-dog world, but it’s a dog-eat-dog world in a lot of my people’s homes. I see so many Native people with prestige and respect throughout Indian country and in the world. I see huge Native-run corporations, but I rarely see them helping our people who really need it. I don’t see them helping that kid that nobody knows about...who lives far out in the districts, raising his brothers and sisters as a teenager himself. I don’t see our people helping our true medicine men who are suffering because they’ve given so much of themselves to the people. Don’t get me wrong; there are a lot of people who do give, but there are more that could give and aren’t. Giving doesn’t always mean money, but support, love, and care for our people. I have recently begun the Wichahpi Topa Society, whose mission statement is: to teach the Lakota way of life, to preserve the Lakota language, and to help all seek spirituality and values through song and guidance. 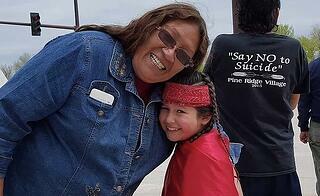 I started this because I had a vision of helping people and restoring the Lakota legacy. With this website in today's world, I can do that. I want to help my people make a commitment to change the world and help restore teachings that remind us of our fighting spirit. It was also created to share teachings about Lakota philosophies, to give knowledge to Natives and non-Natives all around the world about the values of the Lakota spiritual way of life. This vision I had is not for just me, but for all people to help each other, love each other, and care for each other: Mitakuye Oyasin, which translates to "We are all related." 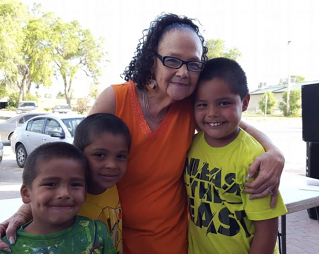 Over the summer, I worked at a Lakota immersion language school where we are dedicated to teaching the Lakota language as our young children’s first language. Nothing’s ever made me happier. I’m so happy, in fact, that it brings tears to my eyes knowing that there is hope for our people. It is important that when our ancestors call, we will speak back in our sacred language because in reality, once we lose our language, we are just human beings with no identity. I see hope for my people, but it starts with putting others first; it starts with supporting and praising our youth who are pursuing academic scholarships, the same way we support the youth who are pursuing sports. Let’s show our people that there are routes to success other than just sports. It starts with becoming more fluent in our language. It starts with our leaders making smart economic decisions for jobs and killing egos and corruption within our tribal politics. It starts from within our fighting spirit that makes us who we are...proud Native warriors. I would like to thank Native Hope for the work they do for the Native people and for the partnership to continue working with them in the future to help change people's lives. We both know firsthand the struggles Native people deal with on an everyday basis. We would like all people to put their efforts in helping us with this fight. Thank You. Next PostJoin Us in The Circle of Hope!